Fire Prevention Week is on record as the longest running public health observance, according to The National Archives and Records Administration's Library Information Center. 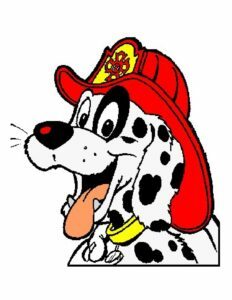 President Calvin Coolidge proclaimed the first National Fire Prevention Week on October 4 - 10, 1925, beginning a tradition of the President of the United States signing a proclamation recognizing the occasion. It is observed on the Sunday through Saturday period in which October 9 falls, in commemoration of the Great Chicago Fire, which began October 8, 1871, and did most of it damage October 9. The horrific conflagration killed more than 250 people, left 100,000 homeless, destroyed more than 17,400 structures and burned more than 2,000 acres.